Walkways give homeowners and their guests easy access to areas on their property. 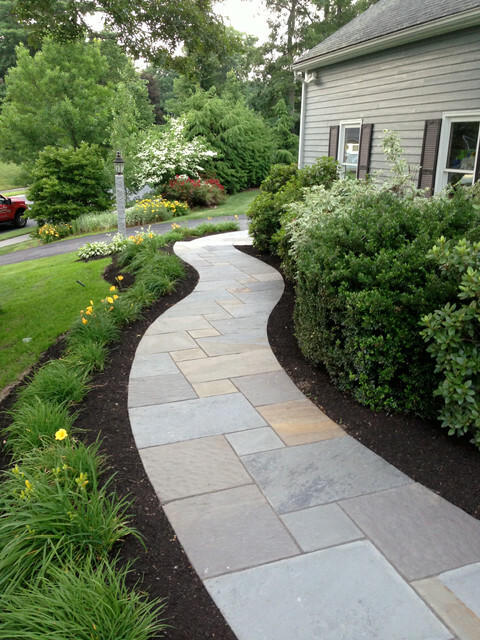 A walkway serves not only to get you from point A to point B, but it can also function as a nice visual addition to your property. Impress your guests with a unique entrance that makes your pathway easy to navigate. We can transform a dull backyard into a seemingly sprawling landscape. Whether you wish to navigate your property more easily, add to it’s appearance, or both, Full Circle Lawn Care can help. A new pool deck can add personality and style to your outdoor living space. We can add pavers, stone, brick, overlays, and more around your pool to enhance its look We use a meticulous process that promises both quickness and efficiency. The result is an absolutely beautifully designed pool deck that will take your outdoor space to the next level. Full Circle Lawn Care can enhance the look of both the front and back of your residence through the use of brick, natural stone, and other landscaping materials. Brickwork and stonework patios, as well as walkways and pool areas have adopted new trends over the last few years. Retaining walls are unique in the fact that they blend style and functionality more so than any other wall that you will find outdoors. In fact, retaining walls play a very important role. They resist the lateral pressure of soil, when there is a desired change in ground elevation.